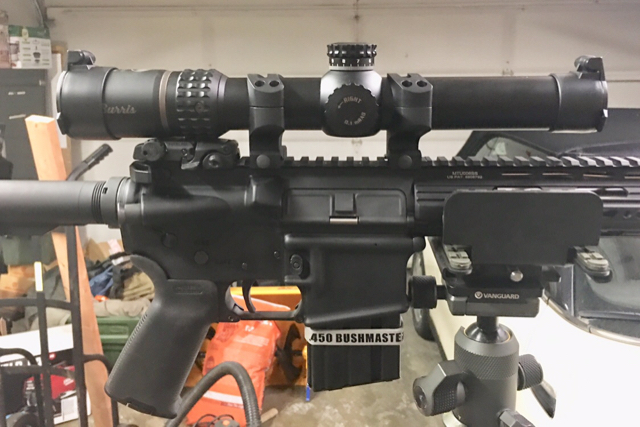 After seeing how well my 450 bushmaster was shooting with the red dot I decided to try out a variable optic. I looked at many different scopes in the 1-8 range and settled on the XTRII 1.5-8. The real selling feature that sealed the deal was the reticle. The ballistic CQ MIL. The XTRII has a dual focal plane reticle. I found this to be very functional idea. 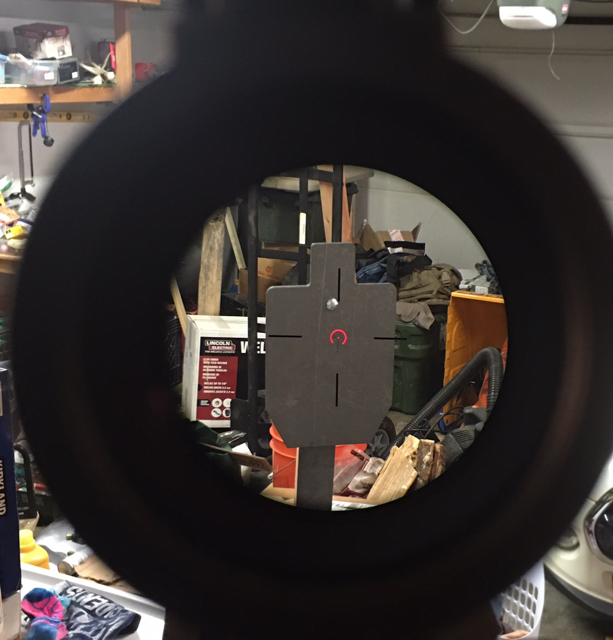 It has the lighted portion of the reticle in the second focal plane and the milling portion of the reticle in the first focal plane. It almost acts like two separate reticles in one scope. At 1.5x it really functions like a red dot. 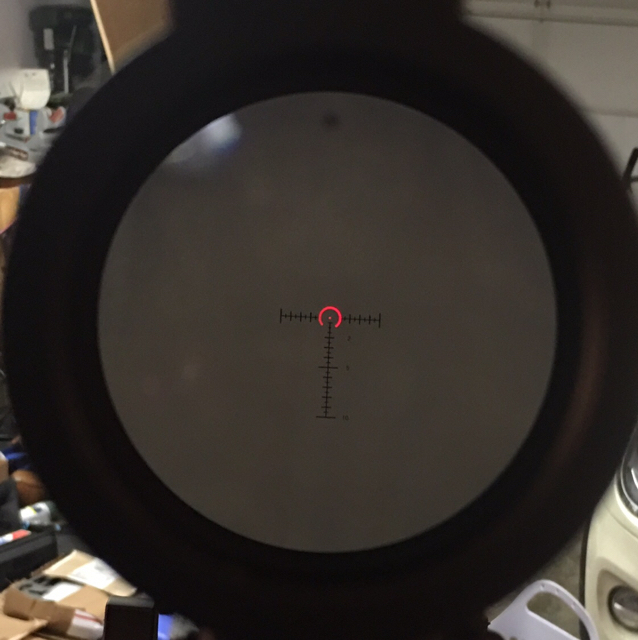 At 8x it is more of a conventional milling reticle. The hardest part was finding 34mm rings. Luckily I found a set of warne Q/D rings. Leaving the option open to switch between the BUIS, red dot and low power variable. I’m looking forward to giving it a bit more of a workout tomorrow. Tbat's got to be one of the most cool looking scope reticle designs I've ever seen. Admittedly, I don't own a lighted reticle scope but still I like the dual functionality. welcome, nice piece of glass there, that reticle already growing on me. Very reminiscent of the ACSS reticule from Primary arms. Its a solid proven design.